ShareGate Desktop stores your data in Microsoft Azure before it gets imported to Office 365. Clearing the contents will delete all containers and queues that were created by ShareGate Desktop in this storage account. This operation cannot be undone and the data will be lost. Any migrations using Insane Mode should be completed before trying to clear the data. 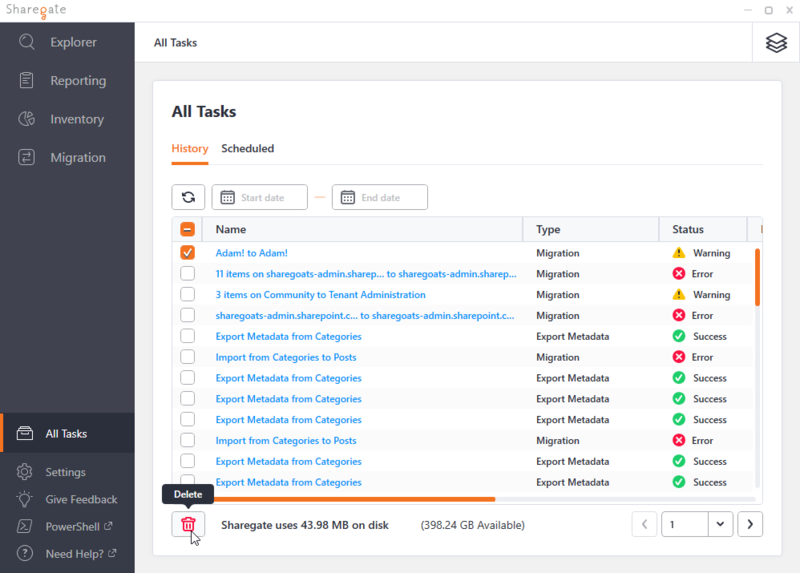 To clear data (containers and queues) that was created by ShareGate Desktop for specific migration sessions, go to All Tasks and delete the specified migration report. 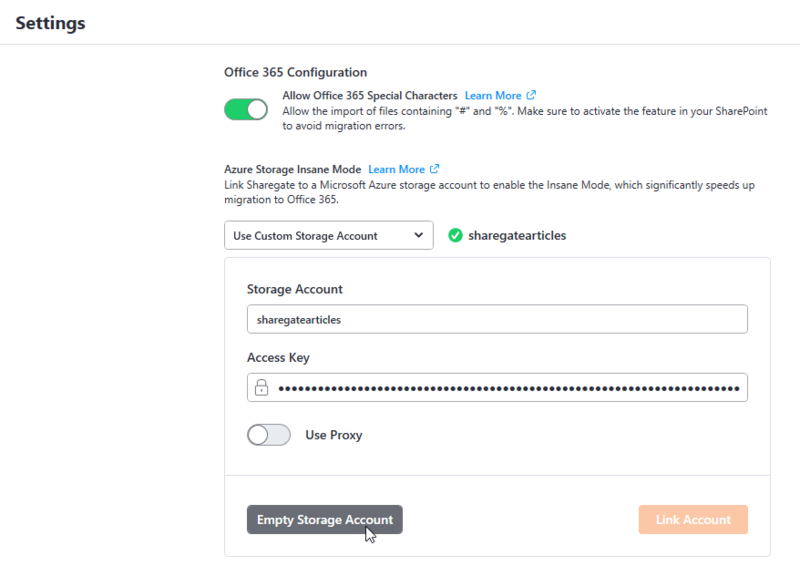 To clear data (containers and queues) that was created by ShareGate Desktop for all migration sessions, please select Empty Storage Account from Migration options in Settings.